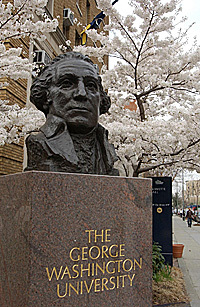 Wolcott Foundation Fellowships for Master's Degree studies are awarded to US citizens who have not previously earned an advanced degree and are attending or applying to George Washington University's School of Business, the Elliott School of International Affairs, or the Trachtenberg School of Public Policy and Public Administration. While the Foundation seeks to support full-time students, students working full time for government or related activities may enroll for six semester hours in the fall and spring semesters. These awards are designed to encourage young scholars (age 30 or younger) with outstanding academic, civic, and social credentials to pursue public service careers. The Wolcott Fellowship covers graduate degree tuition to a maximum of $30,000.00. The award is to be considered a grant (not to be repaid) if upon graduation the recipient is employed for two years in government services (federal, state. or local level), in international affairs, or in selected international business in the private sector. Fellowship recipients may also request a relocation loan of up to $1,800.00. Relocation loans are awarded on the basis of need and must be repaid upon graduation. Wolcott Fellowships are highly competitive and are determined by the trustees of the Wolcott Foundation. In addition to outstanding academic credentials, applicants must demonstrate a commitment to the Masonic ideals of high ethical and moral standards. Most awards are made to entering first-year graduate students in the School of Business, the Elliott School of International Affairs, and the Trachtenberg School of Public Policy and Public Administration; however, second-year students who will need at least 18 credit hours to complete their degree requirements after the spring application deadline are also encouraged to apply. Fellowship awards are contingent upon admission to the University. Awards are announced in February. While consideration is given to applicants with Masonic family background or Masonic youth participation, most students selected as Wolcott Fellows have no Masonic affiliations. How to apply. Review the following procedures, terms and conditions. If accepted, you will be directed to begin the Wolcott Fellowship application. Applicants must fully complete the application. Applicants must download and attach all college and post graduate transcripts, and a recent photo (males should wear coat and tie). Applications will be accepted between December 1st to 31st for the following Fall Term. Applications and all attachments must be received within the month of December 1st and December 31st time frame for the following Fall Semester. Early, late or incomplete applications can not be considered. To begin the process of application, click here. 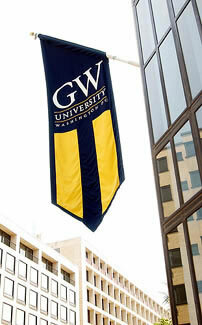 Click here for a list of eligible degree programs. Click here for the 2005-2006 Fellowship Recipients. Click here for the 2007-2008 Fellowship Recipients. Click here for the 2008-2009 Fellowship Recipients. Click here for the 2009-2010 Fellowship Recipients. Click here for the 2010-2011 Fellowship Recipients. Click here for the 2011-2012 Fellowship Recipients. Click here for the 2012-2013 Fellowship Recipients. Click here for the 2013-2014 Fellowship Recipients. Click here for the 2014-2015 Fellowship Recipients. Click here for the 2015-2016 Fellowship Recipients. Click here for the 2016-2017 Fellowship Recipients. Click here for the 2017-2018 Fellowship Recipients. Click here for the 2018-2019 Fellowship Recipients. Click here for information on the Wolcott Foundation, Inc. Board of Trustees. Click here for information on High Twelve International.